beautiful light! we had a deluge today!! We have had about 10 mm over thelast two nights. And yes photography is all about capturing lovely light! It is funny we want rain here in the southern hemisphere coming into our hot summer! 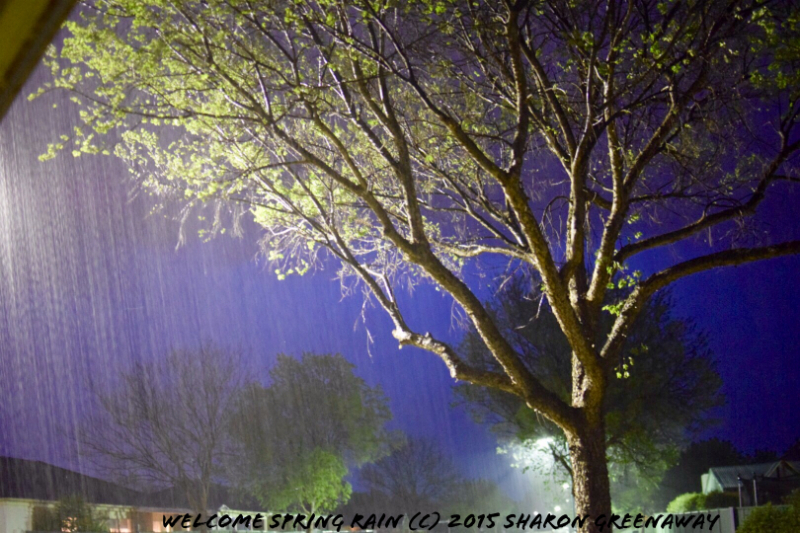 This entry was posted on October 9, 2015 by sharongreenaway in Uncategorized and tagged bendigo, night, nighttime, Sharon Greenaway, spring rain, welcome rain.